When looking for an apartment, you would naturally check out the regular listings – Zillow, Craigslist, or even a college bulletin board. However, when you are a demon banished to the human world, a random sheet of paper on a dingy wall will have to do. Because that’s not sketchy at all, right? The Strange Creature at Kuroyuri Apartments follows Meme, the daughter of the demon summoner’s clan, who, after being a “lazy, good-for-nothing girl” (her father said it, not me) for too long, is exiled to the human world to learn how to be a proper and well-rounded demon. With no help from human authorities and a need for something called “money,” Meme seems to be out of luck. However, while on her last legs, she spots a piece of paper on a dirty wall, requesting tenants for a rent-free apartment. Without any concern for the obvious “bad idea” vibes of these words, Meme rushes to Kuruyuri Apartments and onto the front porch of Sentarou Narigane. Sentarou, who at first glance seems to be your average, dull landlord, is actually exceedingly wealthy, and started the apartment complex for the sole reason of… entertainment, which is the cost of living in his complex. Not for a nefarious purpose – it’s not that kind of manga! No, he requires his tenants to entertain him due to the fact that he is ungodly bored. Luckily for Sentarou, Meme is the daughter of the summoner’s clan – entertaining a mere mortal is a piece of cake for her! Or so she thinks. Thus, the strange agreement between the tiny Meme and the blasé Sentarou begins. 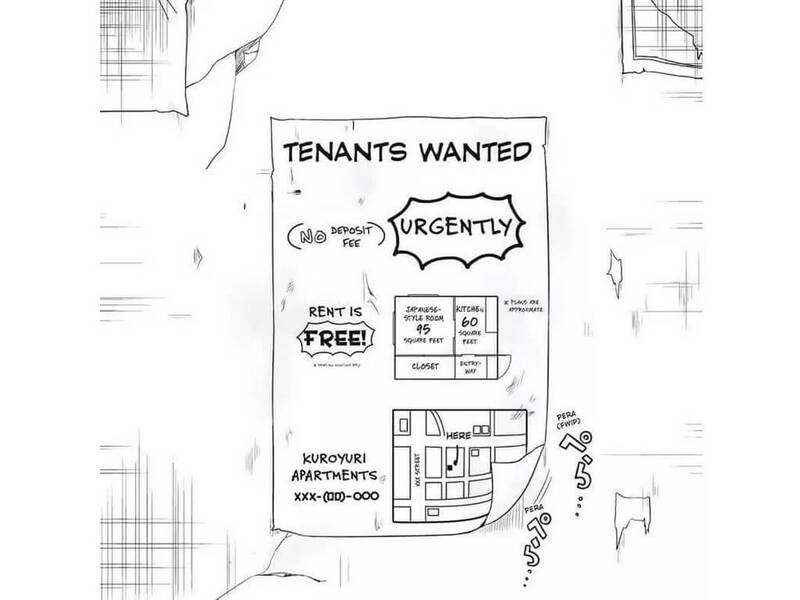 The manga has a colorful cast of characters, each with their own set of quirky personality traits (not surprising, considering the requirements of their rent). Unlike some manga, which focuses on just the main characters, The Strange Creature at Kuroyuri Apartments allows the reader to get to know each supporting character. The characters range from a gold-digging 21-year-old desperate to marry into a rich family (*cough cough* the Narigane family *cough cough*), to a violent maid with an extreme fondness for cute things. Their interactions with each other are hilarious and outlandish, providing the entertainment that not only Sentarou needs, but also the reader. The odd relationship between Meme and Sentarou is refreshing as well, as there are no sexual tones to it at all. More often than not, the main characters are forced into a romantic relationship, either voluntarily or involuntarily, and we, the readers, have no choice but to go along with it. Luckily for us, Sentarou seems to view Meme as just a toy to entertain himself with, and Meme views Sentarou as a meal-ticket to a comfortable life in the human world. 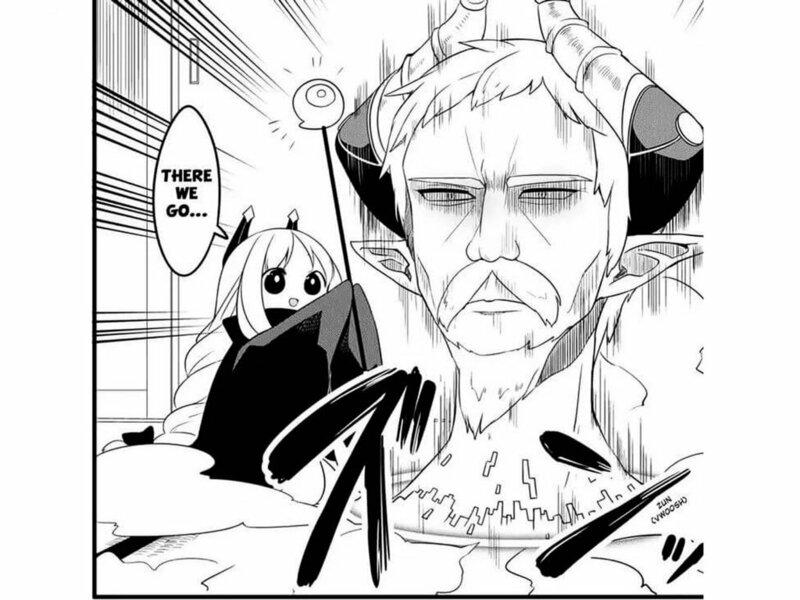 The art of The Strange Creature at Kuroyuri Apartments fits with the funny, quirky vibe of the manga as well. When referencing the demon world, the art style is dark and foreboding, with deep shadows and contrasting light, while the human world is simpler, lighter, and less dramatic overall. The artist also takes each character’s personality into consideration when drawing them. Meme is drawn with round angles and simple detail, alluding to her childish and irresponsible nature. Sentarou has stark, minimal lines that indicate his dull, to-the-point personality. Even the side characters are drawn with attention to their individual traits, which shows the artist’s dedication to the story and characters. Overall, there isn’t much bad to say about this manga. However, if I was nitpicking, I could say that there is too much absurdity packed into just one volume. Every character, and I mean every character, is quirky and bizarre, causing the reader to wonder if there is any person in this story that is somewhat close to normal. Even the owner of the clothing store that Sentarou visits is eccentric. While that’s not necessarily a bad thing, it feels as though the author is trying too hard at times to be funny or different. It’s okay to have moments of normalcy in a story, as it can truly show how odd our main and supporting characters are in comparison to the rest of the world. The Strange Creature at Kuroyuri Apartments takes the classic concept of apartment dwelling and throws bizarre characters, hilarious interactions, and a dash of fantasy into it, creating a story that is not only entertaining but also refreshing. Meme is reminiscent of your average lazy teenage girl, and many of us may see our past (or present) selves in her, while Sentarou is just your average wealthy billionaire man who only wants to have a good time. While I am hopeful that the manga adds moments of normalcy into the story, I also will happily keep reading if it doesn’t. It made me laugh out loud more than I expected, and I find myself conflicted over wanting Meme to become an accomplished summoner and the desire to see her fail miserably. After all, don’t we all just want to be entertained? You can read more about The Strange Creature at Kuroyuri Apartments at Anime-Planet and order it on Amazon and RightStuf. Special thanks to Yen Press for giving us the opportunity to review this manga. Just a small town girl, living in the manga world.